JAM - NSW Folk Federation - Sydney Bluegrass & Old-Time Music Get-together - SPECIAL CONCERT!!! 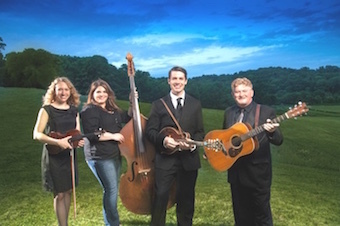 Sydney Bluegrass & Old-Time Music Get-together - SPECIAL CONCERT!!! Tickets at the door from 6.30pm. There is no whiteboard concert in November. Safety In Numbers will still be on from 6.30pm and will perform a couple of songs at the start as usual. Afterwards, there is the usual jamming! The whole night takes place through the efforts of dedicated volunteers, including. Tea, coffee, soft drinks and delectable goodies available.